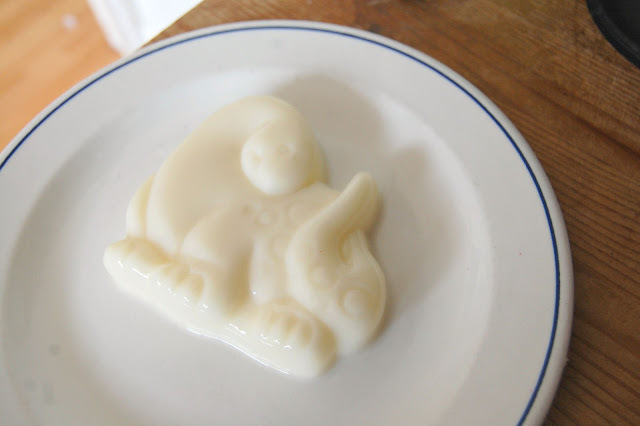 As I usually bake cakes for special occasions, last summer I decided to mix things up a little and make a jelly instead. Conveniently I'd just bought a magnificent trifle dish from Homebase which I knew would look perfect holding a rainbow jelly! The process of layering the jelly took a good couple of days beforehand but the results were pretty great. It was for my younger brothers First Holy Communion and he loved it! 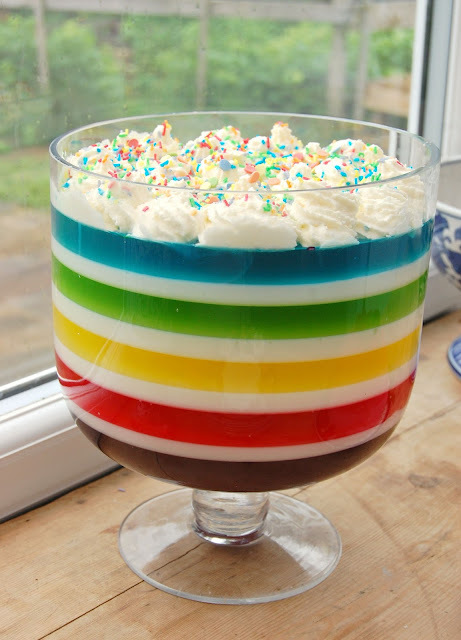 I've been asked to make a few more rainbow jellies since then, and more often than not I'm asked how to make the white milk layer, especially by children who seem to love it! Although it's an extremely simple type of jelly to make not many people have tried it before and since the war days it appears to have gone out of fashion as a traditional British dessert. As I was already compiling a giant rainbow jelly last week for a big BBQ at Joe's work I decided to make some milk jellies for the little guy. They are rather sweet so it's best to keep them as treat; but I've yet to find a child who doesn't love this stuff. 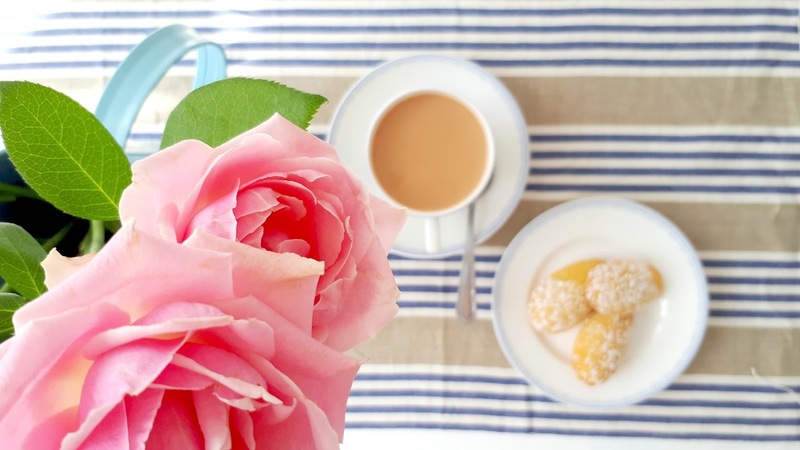 Carnation Milk with its signature Red and white label is something that most people will remember being in their Grandparents cupboard as a household staple. 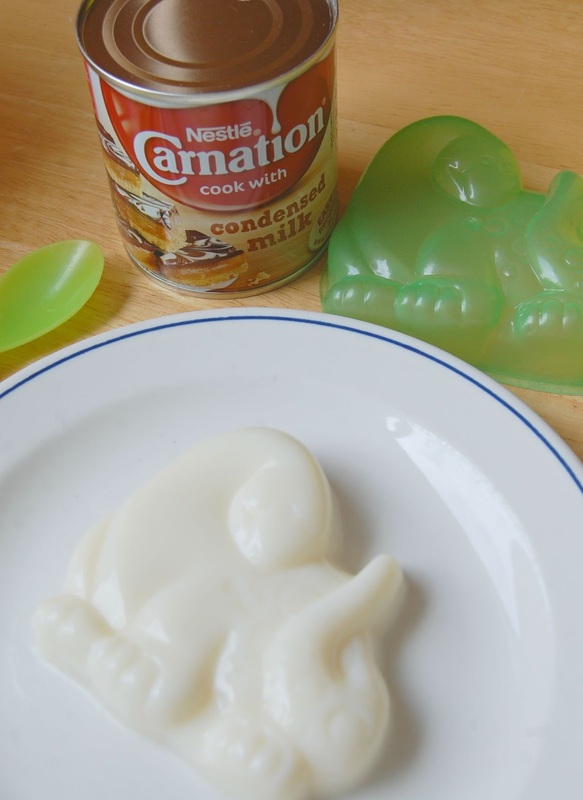 My Grandma always gave us Carnation evaporated milk with any dessert we had after our Sunday dinner and I loved it. The Condensed milk is much thicker and sweeter and is the one I use to make my milk jellies. 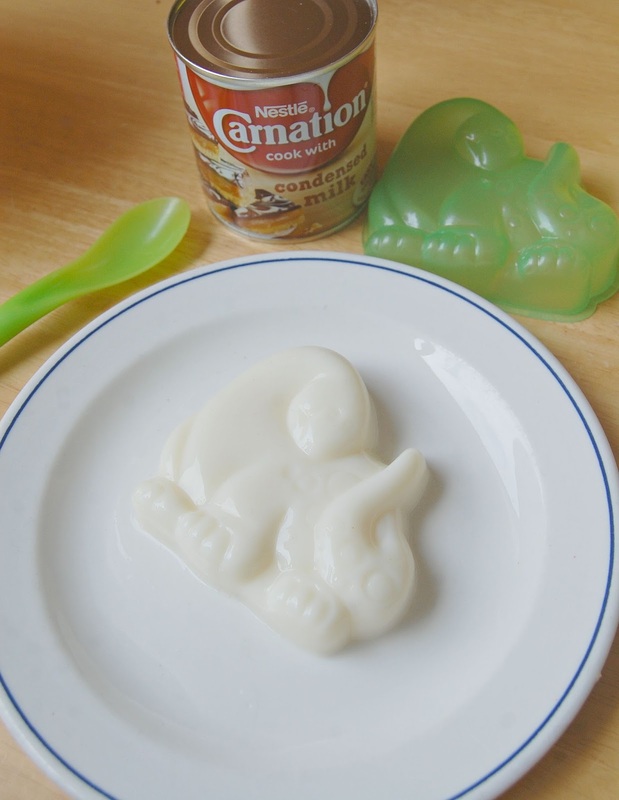 He is currently obsessed with dinosaurs so I used these plastic dino moulds! I leaned this while I was making Rainbow jelly and left the milk layer to cool in a jug and forgot about it watching "Emmerdale"
N.B If you tip it into a little saucepan and warm slightly it will go back to liquid consistency which you can re-pour and set! If you want the moulds to tip out intact, dip the base of the mould in some warm water in a bowl. There you have it- mini milk jellies for your little people! I will be revisiting these later with a more grown up version of these- as adults love it too! N.B This post has not been endorsed in any way by Nestle - I just happen to love it. 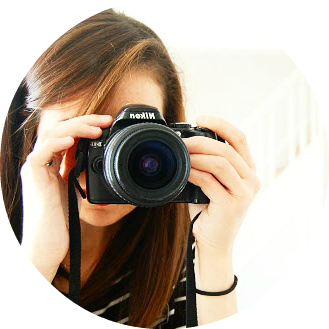 I love your blog Sal!